New Classes at Out of the Fire Studio! Home » Blog » New Classes at Out of the Fire Studio! Posted by cindy on Apr 8, 2011 in Blog | Comments Off on New Classes at Out of the Fire Studio! I’ve been an Artist-in-the-Schools for 8 years or so and now, with the studio, have wanted to teach more classes here. I have had workshops for teachers in Wake County, where they earned C.E.U. credits, a very fun birthday party for a 17 year old young woman and her family and friends, and a teenage guy, who is very serious abut his art. 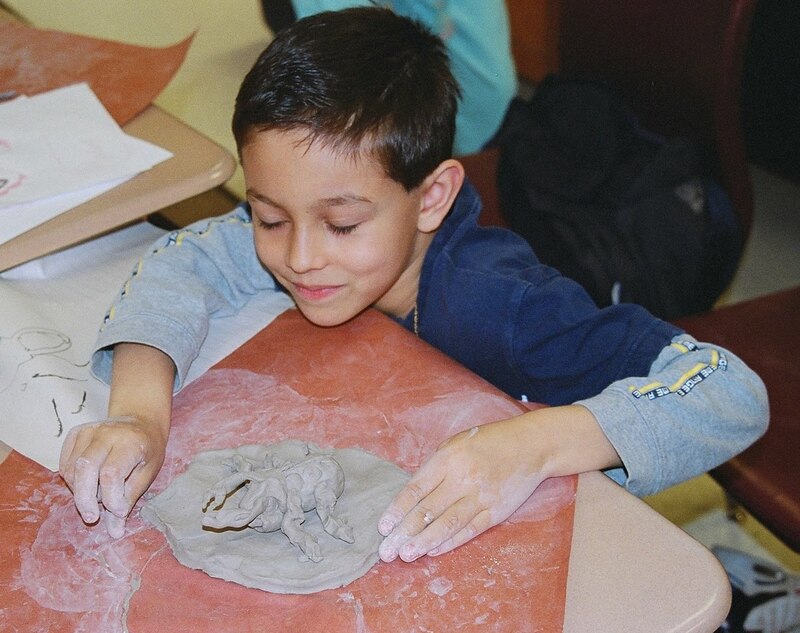 So far, I’ve taught hand building and sculpture in clay to people ages 4 to 97, and would be happy to extend that age range! If you’re interested, or would like more information on these and other classes, please call (336) 376-9091 or e-mail cbiles@triad.rr.com. This is the list so far, but once I figure out my summer schedule, there will be more classes of a bigger variety. FPr example. 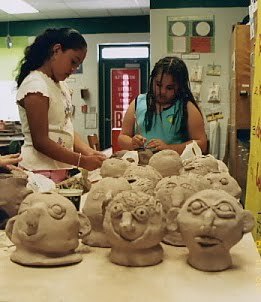 I would love to work with teens who would like to take a serious sculpture class–experience level would not be that important, just a desire to learn. Also, I’d love to have classes that go on for 4-6 or 8 weeks. Feedback I’ve received lately, though, suggests that people prefer not to commit too many days at a time, and I can understand that! So I’m starting with 2-day classes, where you sculpt one day and come back in two weeks to glaze (or in the case of very young children, paint) the piece after I’ve fired it. If there are other classes you would like to see offered, please let me know! 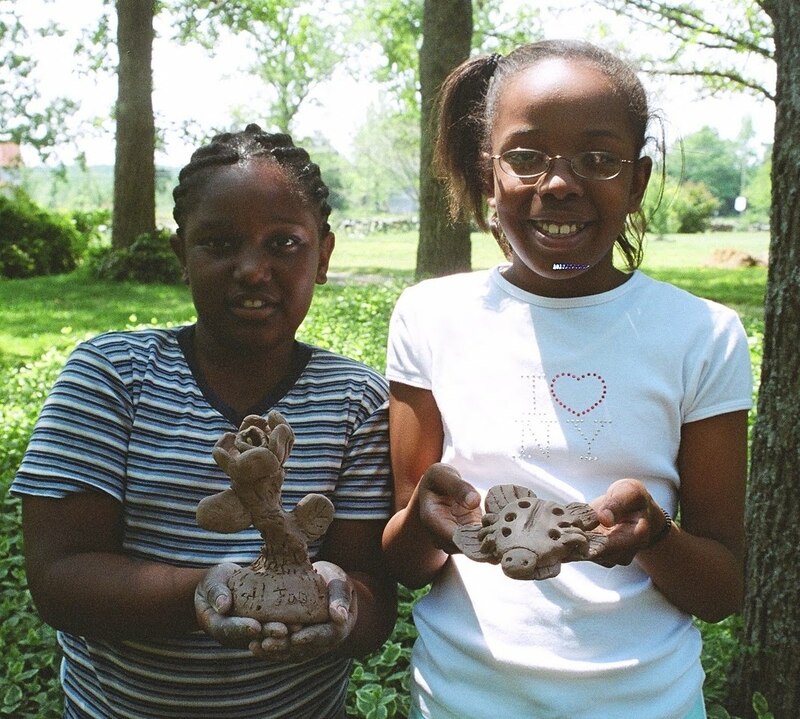 Clay Sculpture for Adults: Why Should Kids have All the Fun? Picasso said, “Every child is an artist. The problem is how to remain an artist once we grow up.”Let go of self-judgment, have a great time and create something wonderful for your home or garden! We will sculpt during the first class and glaze our magnificent works during the second class, two weeks later. Sculpture tools are provided for use during class.First Session: May 9 and 23 (Mondays), Second Session: June 13 and 27 (Mondays), Third Session: July 14 and 28 (Thursdays). 7-9PM.$45 per session, includes 5 pounds of clay, glazes and firings. Big Hands, Little Hands—A Great Clay Adventure! A child and his or her Special Someone will learn a lot and have a lot of fun as they coil, roll and pinch clay to each create a masterpiece! You get to spend quality time with that special young spirit and remember the joy of play as you release your own inner child. We will sculpt during the first class, and glaze or paint during the second class, two weeks later.Sculpture tools are provided for use during class. First Session: June 11 and 25 (Saturdays), Second Session: July 16 and 30 (Saturdays). 10AM-12Noon. 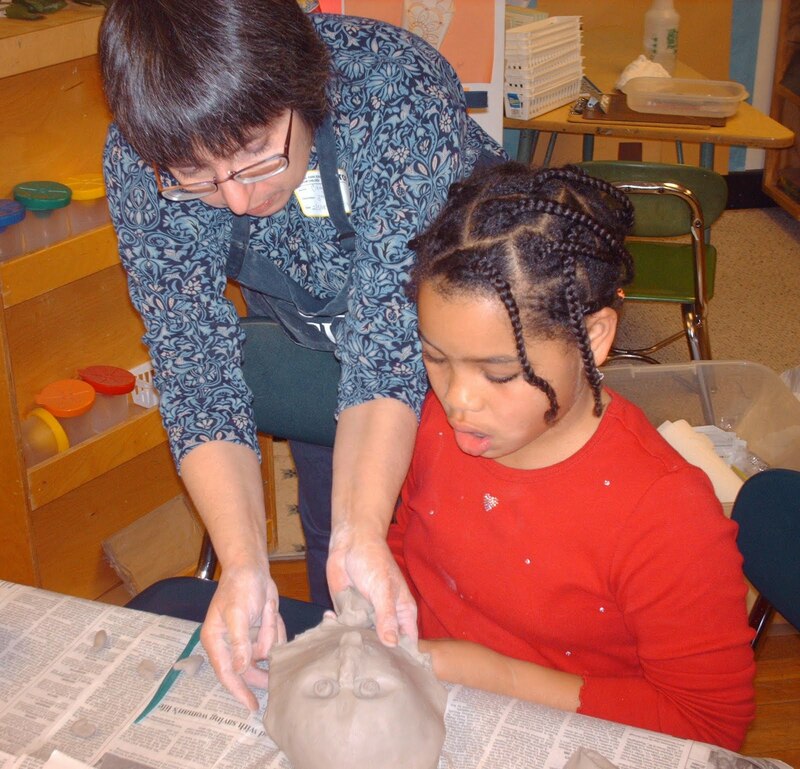 $55 per session, includes 6 pounds of clay, glazes, paint, and firings.